Hardcover, 9.75 x 12 in. / 288 pgs / 240 color / 47 bw. Text by Salvador Albiñana, Juan M. Bonet, Deborah Dorotinsky, Marina Garone. 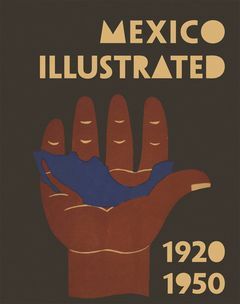 The most important study ever published on modern illustrated books in Mexico, Mexico Illustrated 1920-1950 explores the illustration and poster work of great Mexican artists from the first half of the twentieth century, offering a selection of the finest illustrations from books, magazines and posters published in this era. Reflecting the range of aesthetic, pedagogical, political and propagandistic trends that held sway in Mexico at the time, it contains works relating to the Mexican Revolution, illustrations made for socialist writings and art drawn from novels and children's books, along with a great many contributions to magazines that oscillated between the avant garde and the construction of a new vision of Mexico. Among the artists included here are some of Mexico's greatest artistic talents--Diego Rivera, José Clemente Orozco, Rufino Tamayo, David Alfaro Siqueiros--along with lesser-known artists such as Ramón Alva de la Canal, Jean Charlot, Miguel Covarrubias, Dr. Atl, Gabriel Fernández Ledesma and Leopoldo Méndez. 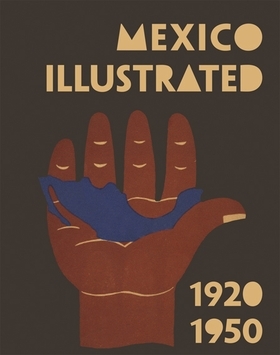 With more than 300 illustrations, Mexico Illustrated includes essays by Juan Manuel Bonet, Mercurio López Casillas, Dafne Cruz and Marina Garone, who elucidate the relations between Mexico and the European avant-garde movements, the socialist aesthetic, children's literature, graphic design and the cartography of postrevolutionary Mexico. 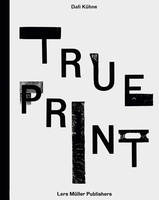 Foreword by Gregory Dechant. Text by Mercurio López Casillas. FORMAT: Hbk, 9.75 x 12 in. / 288 pgs / 240 color / 47 b&w. Published by RM/Museo Valenciano de la ilustración y la modernidad.